To determine the best contract for your organization, you need to understand the pros, cons and pitfalls. The goal of this article is to educate you on how vendors make their money. You can then use this knowledge to ensure that the income they are making from your organization is appropriate. Many times, I have gone to hospitals and completed a contract audit, only to find that the vendors are making excessive profits well above the industry standard of 4% to 6% of the total managed volume. The best time to negotiate a contract is at the start of the contract or during contract renewal – as you, the client, are in the driver’s seat. Before you begin negotiation, you need to understand how much money the vendor is making and if they are running an efficient and effective operation. The admin is the portion of the vendor income that is used to provide offsite support and oversight for the location. Vendor Employees – determine what the benefits percentage is – it can be as high as 45%. The average vendor benefits are 28%. At a cursory look, you would define the vendor income at about 5%, equaling their admin and fees. Instead, it is $599,210, or 29%, way ABOVE MARKET! Demand a 50/50 split on all rebates. 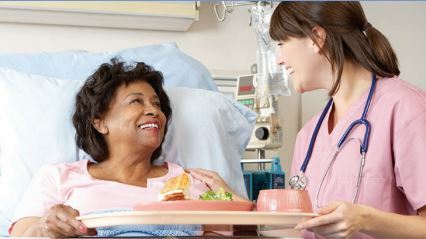 Alternately, have the vendor contribute capital at no cost to enhance the dining model or invest in a new food court – This will improve the patient experience and benefit the hospital, guests, employees, and physicians. Bottom line – you want their net income to be at between 4% and 5% of the total managed volume. How do you ensure the vendor delivers the proposed savings or reduction in income? This is a closed book P&L contract, which basically takes the net cost of the department and divides by the patient days to come up with a dollar amount per patient day – e.g. Net cost of the department is $5,000,000 at 100,000 patient days cost per patient day is $50.00. This is guaranteed contract price. If the vendor goes over the guaranteed net monthly cost of the department, they eat the cost. If they operate under the net department cost, they keep the savings. g. Net cost of the department guaranteed is $300,000 and the department operated at $280,000, vendor makes $20,000. If they operate at $320,000 then vendor loses $20,000. Please check out my webinar series, where I walk you through the pros and cons of each contract, identifying pitfalls to watch out for, and show you how this information is reflected on a typical vendor invoice. Join me as we provide useful information for you and your organization.